In a marked departure from his former career at Apple, Scott Forstall posted on Twitter for the first time on Friday to announce his role as a co-producer in an upcoming Broadway musical, Fun Home. 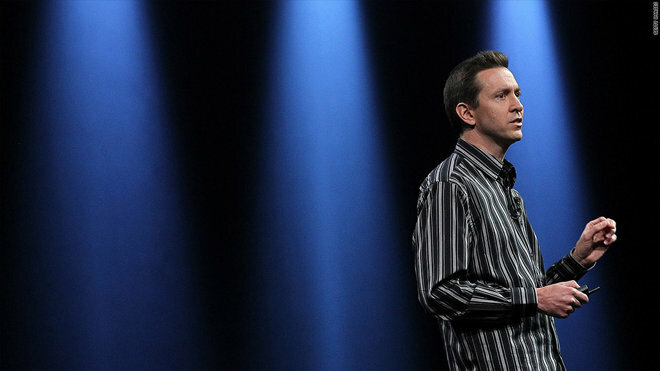 During his tenure at Apple, which began in 1997, Forstall was responsible for core aspects of Mac and later iOS software design, ultimately ending up as the senior vice president in charge of iOS. He was forced out in the wake of the release of iOS 6 in 2012, which was poorly received for mistakes and missing features in a new version of Maps. The company stripped out Google content in a bid to distance itself from its main competitor. In all the time Forstall was at Apple, he never posted to Twitter. Other executives —such as CEO Tim Cook, Internet Software and Services head Eddy Cue, and marketing lead Phil Schiller —have posted to Twitter on a semi-regular basis. "I'm thrilled to be co-producing the Broadway musical Fun Home funhomebroadway.com opening this Sunday," Forstall's post reads. "Bravo to the phenomenal team!" On Thursday it was discovered that in February 2014, Snapchat granted Forstall 0.11 percent of the company's stock, or 50,000 shares, as payment for work as a company advisor. His stake is estimated to be worth about $16.5 million, although it will only vest next year. It's not clear what role Forstall had in the development of Snapchat's mobile messaging apps. It's also uncertain how he became involved in Broadway, since his education and work experience is almost exclusively technology-based.